Gorilla trekking is one of the most magical wildlife encounters in the world. When I went for the first time in Rwanda, I was in awe. To be so close to these human-like creatures, to see them in their natural habitat – it’s inspiring, uplifting, and all around just the coolest. Unfortunately, with gorilla trekking permits in Rwanda almost impossible to obtain (unless you have $1,500 U.S.D. 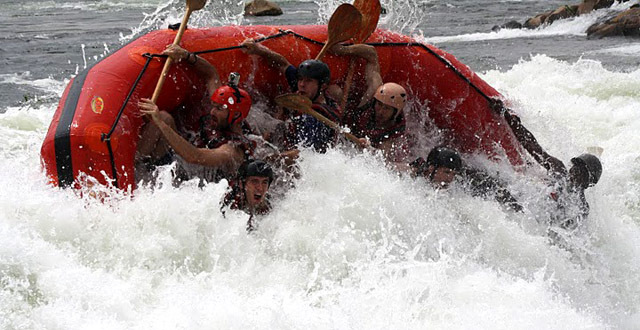 that is), tourists in the region are now looking for alternative options. 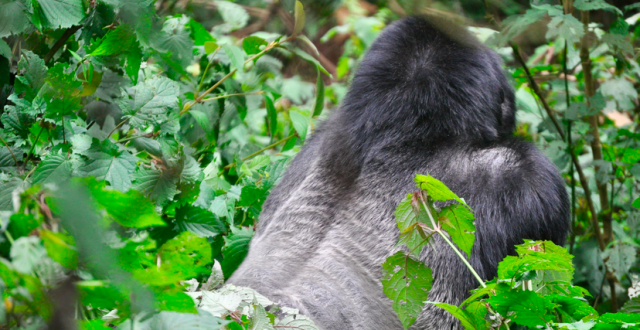 If you’re a tourist on a budget, rest assured – mountain gorillas are not only found in Rwanda. 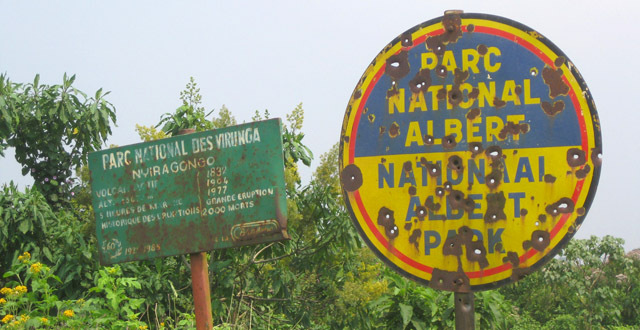 The Virunga Mountains, where 50% of the world’s remaining mountain gorillas are located, actually span Rwanda, the Democratic Republic of Congo, and Uganda. Gorilla trekking is also available in the Democratic Republic of Congo and Uganda, and though trekking there requires a border crossing, it’s worth it for the low price. As of December, 2017, the prices for gorilla trekking in the region are as follows: permits in Rwanda cost $1,500, $600 for Uganda ($450 for rainy season in April, May, and November), and $400 for Congo (with rainy season prices ranging from $250 to $350). Uganda shares a small part of the Virunga Mountains range, offering Gorilla trekking in the Mgahinga Gorilla National Park near Kisoro, Uganda. In addition to Mgahinga, gorilla trekking is also available just a few hours away in Bwindi Impenetrable Forest National Park (where the other 50% of mountain gorillas in the world reside). I was recently lucky enough to spend a weekend with Janvier from A Step Into Nature for an unforgettable trekking experience in Uganda. Janvier, in response to Rwanda’s higher prices, has put together a fantastic itinerary for gorilla trekking in Uganda, with the company organizing the necessary permits, accommodation, and transportation. All you really need to do is lace up your hiking boots and get ready to hit the trails. We left at around 10am on a Saturday morning, driving directly to the Cyanika border. A Step Into Nature provides the option of stopping in Musanze for month, but we decided to head straight for the border in order to hopefully nab some tasty rolexes for the road (Ugandan chapati with a fried egg rolled inside of it). The Cyanika border is relatively easy (and much less crowded than the Gatuna Border). Once we crossed, we were just a few hours drive from the Bwindi Jungle Lodge, our accommodation for the evening. Including the border crossing, it took about five hours to drive from Kigali to our stop for the night. Bwindi Jungle Lodge is an enjoyable and picturesque hotel set on a small lake halfway between Mgahinga National Park and Bwindi Impenetrable Forest. All the rooms have their own private porches with absolutely stunning views of the lake. Definitely spend the day prior to gorilla trekking lounging on your porch, with a cold beer and a good book. The food is all inclusive, and actually pretty impressive. We had some issues with stale bread (and were assured that was because it was low season), but everything else was fresh and tasty. We enjoyed different kinds of curries with homemade chapati, as well as warming soups and an excellent fish and chips dish. Meals are served in the cozy dining area, next to a stocked bar and overlooking the lake. The area surrounding the lodge is pretty quiet, and going to bed early after a quick glimpse at the bright stars is very relaxing. The beds are comfortable, the bathrooms clean, the water hot, and the service generally very good. 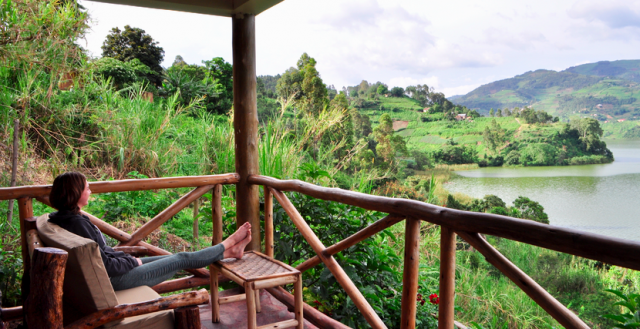 Bwindi Jungle Lodge is undoubtedly a great place to stay prior to gorilla trekking. Though Janvier prefers to take his clients to the Bwindi Jungle Lodge, it’s definitely possible to request a cheaper or more upscale option. Additionally, it’s important to note that if guests choose to hike in Mgahinga (as opposed to Bwindi), the trip back to Rwanda will be much shorter. We hiked in Bwindi, and had to wake up at 5:30am for the hour and a half drive to the forest entrance. The drive to Mgahinga is only half an hour away, and actually back towards Rwanda (making your return all the easier). However, it was pretty nice to be able to stop back at the hotel after gorilla trekking in Bwindi with the chance for a hot lunch and quick wash. Additionally, the sunrise on the road to Bwindi is beautiful, and the drive really easy. We chose Bwindi instead of Mgahinga due to the fact that Bwindi has many habituated gorilla families, whereas Mgahinga only has one. That could mean your hike in Mgahinga could take upwards of seven hours, or just thirty minutes. If you have any doubts about your physically fitness and want to request an easy or mid-range trail, definitely check out Bwindi. 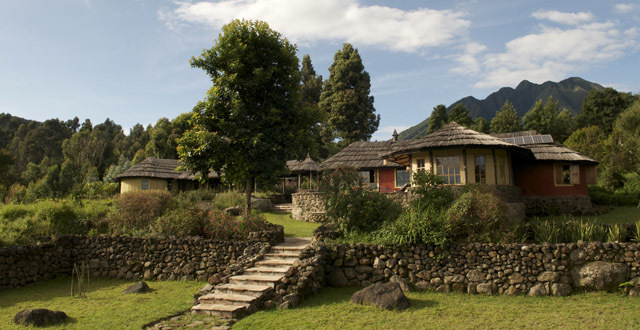 If you don’t mind and would rather stay in the Virunga range, stay with Mgahinga. We had a great time in Bwindi, and have also heard of people having a lovely time in Mgahinga. The choice is yours, and A Step Into Nature is super flexible. 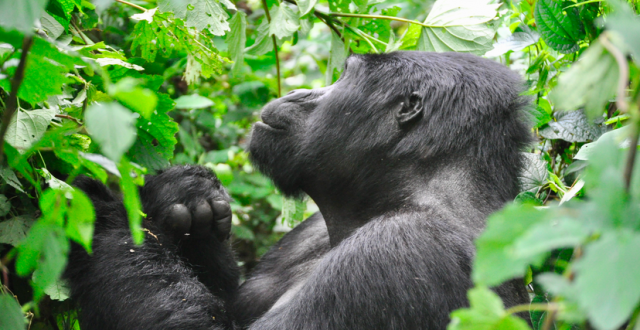 In terms of the actual gorilla trekking, the experience in Uganda is pretty similar to Rwanda. There are, however, a few marked differences. There is much less pomp and circumstance at the Uganda gorilla trekking headquarters, and the classic Rwandan free tea, coffee, and bananas are not served prior to trekking alongside traditional dancing performances. Porters are still available, just like in Rwanda, and It is $15 U.S.D. to hire one for the day. 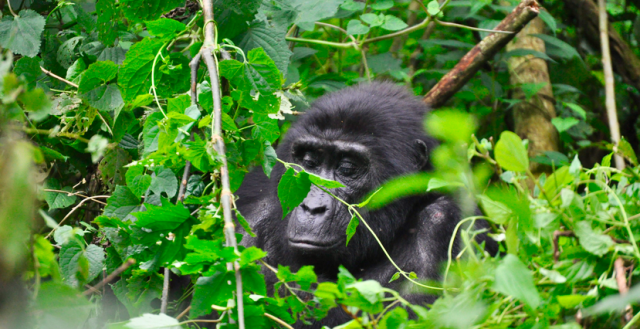 The two main differences we spotted, however, between Rwanda and Uganda gorilla trekking, is the fact that 1) the short hikes aren’t actually that short and 2) there are a lot of trails. For anyone that has gone gorilla trekking in Rwanda before, you’ll be very familiar with the memory of park rangers hacking branches in front of you and creating a path in the moment. That’s not the case in Uganda, until the very end of the trek. We walked along well-trodden trails, marveling at the difference. And, in terms of requesting ‘short hikes,’ the Ugandan park service is unfortunately not as proficient as the Rwandan one. We requested a moderately short hike, and were assigned to a gorilla family that usually stays pretty low on the mountain. In Rwanda, a moderate hike is generally a no more few hours roundtrip, whereas ours was 4 hours. This wasn’t the case with all the groups searching for gorillas that day, and obviously these are wild creatures, but the Rwandan park service does seem more proficient in that respect. Other than that though, the experience itself is obviously incredible. To spend a full hour watching these majestic animals interact with one another is truly special, and I cannot recommend it enough. A Step into Nature did a great job of organizing the entire trip, and we felt very comfortable and taken care of. In addition to their Ugandan tours (that also include visits to Queen Elizabeth National Park and other hikes in the area), Janiver and his team still organize gorilla trekking in Rwanda, as well as safaris around Akagera National Park and visits throughout the country. 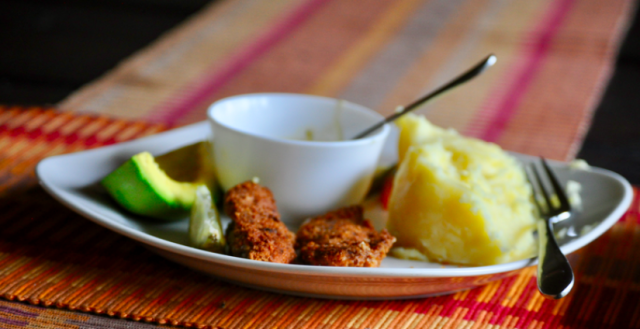 A twenty four hour gorilla trekking experience in Uganda, with all our meals, transport, permits, and accommodation included, is priced at for $1500 U.S.D. for one person and $2,000 USD for two people. If you’re interested in exploring Uganda or further, and want to do it with a guide, definitely check out A Step Into Nature. Note: I was given a free gorilla trekking tour with A Step Into Nature in Uganda for this write-up, but all opinions shared in this article are my own.